SkyCiv’s File Manager allows you to organise and work with all your various saved files. 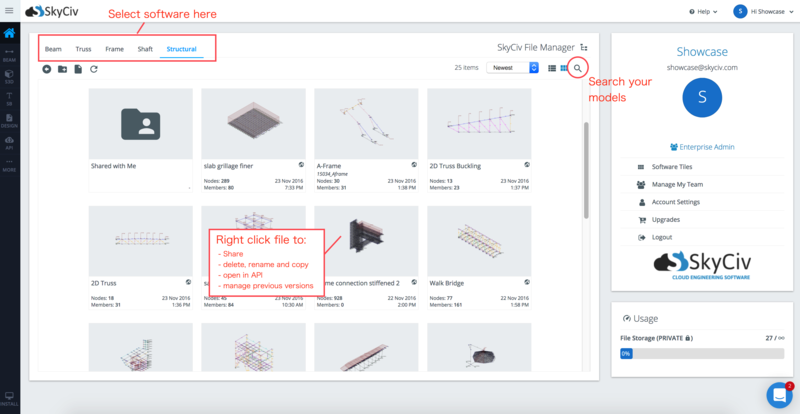 In the top left corner, select the SkyCiv software you saved your file in and navigate to the location of your file. Files that have been shared with you will automatically appear in the user’s Shared with Me folder. They will also receive a notification via email to let them know a model has been shared with them. Click here to learn more about sharing files. Click here to learn more about revision control. Users have control over some file management settings under Account-Settings -> Software settings. From here they can toggle on Autosaving – where your model saves itself every 1 minute. This is designed so that the user does not need to think about saving their file and to protect their progress against computer/browser crashes. Users can also controlled what appears in their file manager (for instance Public User Folder) and the view in which the file manager is displayed (tiled view or list view). Your files are stored on SkyCiv’s secure server in Chicago, USA which is both SOC1 and SOC2 compliant. Enterprise Accounts can integrate the file storage system with their own FTPs and servers. 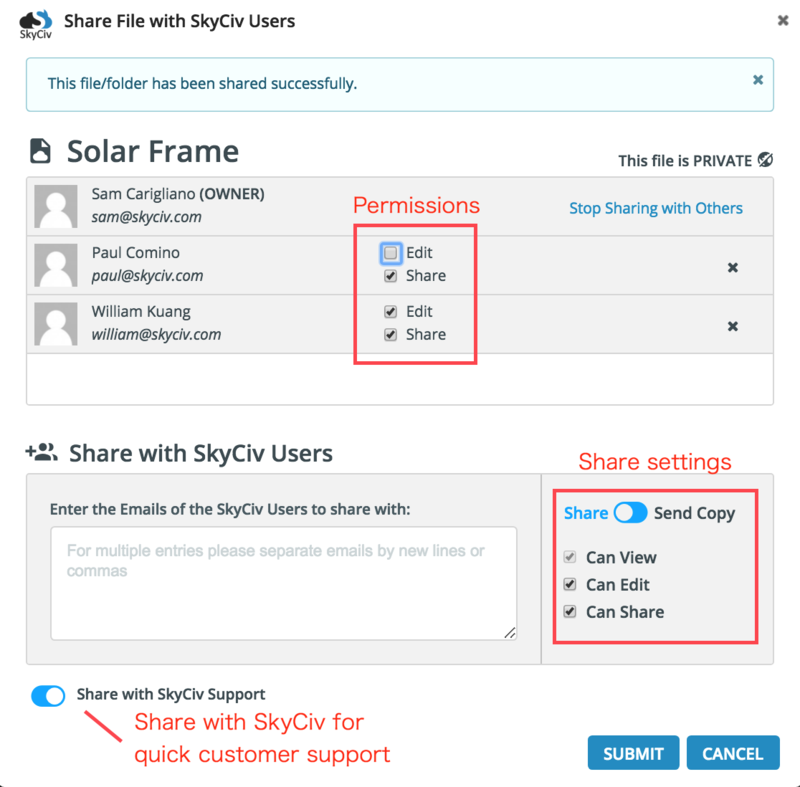 SkyCiv stores our users’ files on our secure servers, that can only be accessed by the user and SkyCiv Developers. SkyCiv also has systems in place to protect your information from being accessed by anyone who is not logged in under your account. 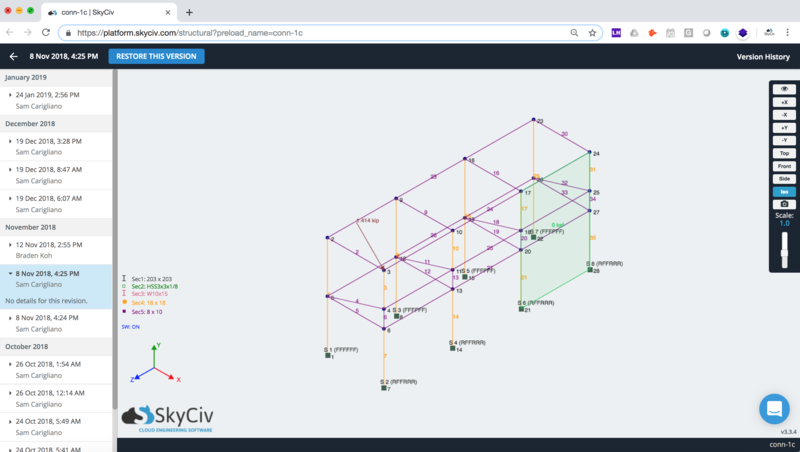 SkyCiv stores our users’ files on our secure servers, hidden away from public access. These files are backed up every day in the event any information is lost, corrupted or if you accidentally delete a file you need. 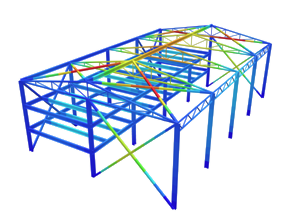 Simply email us at [email protected] and we can locate and recover your model for you. Can I download my files? Yes, you can download your files under File – Export, which will allow you to store the data as either CSV or original SkyCiv data (JSON). Can I auto save my files?